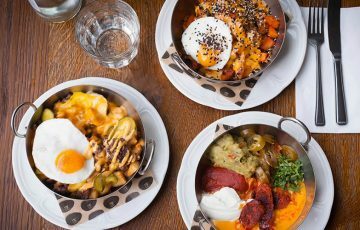 If you’re heading to this Soho hot spot the 31st, don’t be surprised if you have to fend off a few zombies while you tuck into your shepherd’s pie or steak tartare. 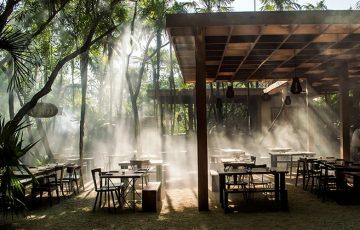 The restaurant has a Thriller-inspired evening planned, complete with blood-curdling Zombie cocktails, dancers, skeleton contortionists, and DJs spinning spooky tunes. Don’t skimp on your costume – the best dressed guests will win a meal for four worth up to £400. Get your bravest friends together for a ‘Nightmare on Bread Street’ experience at Gordon Ramsay’s restaurant in the City. 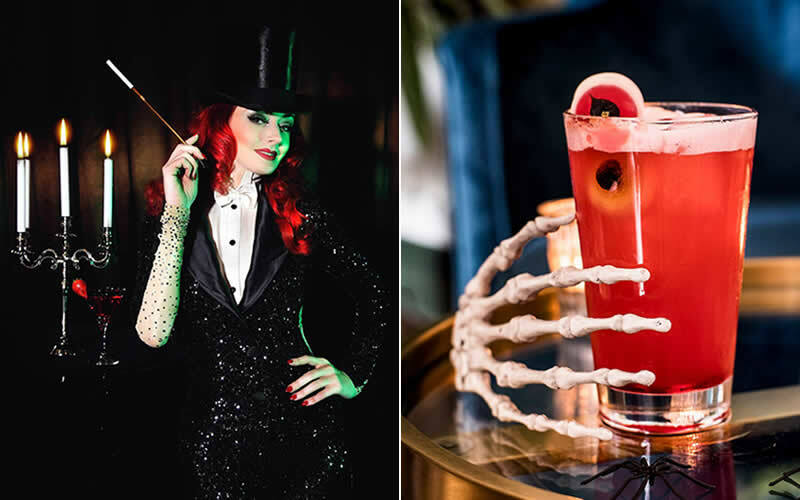 Expect ghoulish décor, creepy cocktails, and a special four-course tasting menu priced at £50 per person. 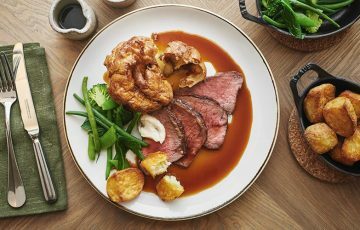 After pig’s head croquettes with truffle mayo, you’ll be tucking into roasted scallop with squid ink emulsion, braised beef feather blade with smashed pumpkin and snails, and a devilishly delicious chocolate fondant. Pair your pud with a Phantom’s Voice cocktail, made with Grey Goose vodka, Dubonnet red vermouth, and Cynar bitter liqueur. 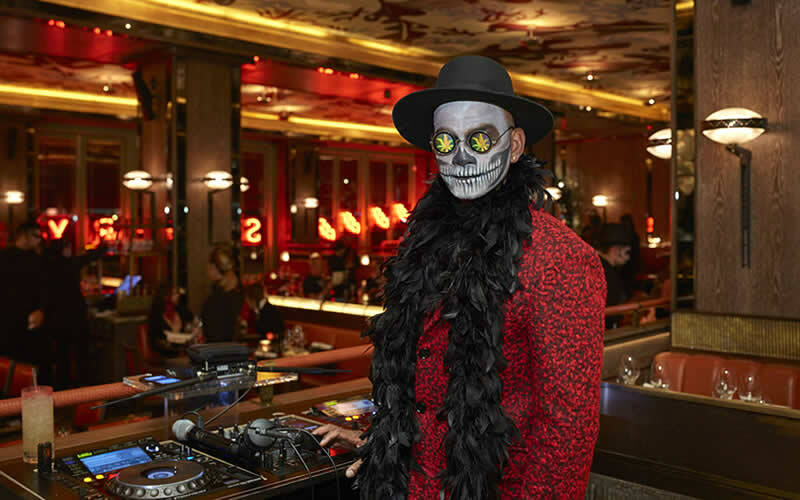 Throughout October at M Threadneedle Street, M DEN is being transformed into a spooktacular feast for the eyes in collaboration with street artist Rich Simmons and his Skullerfly exhibition. 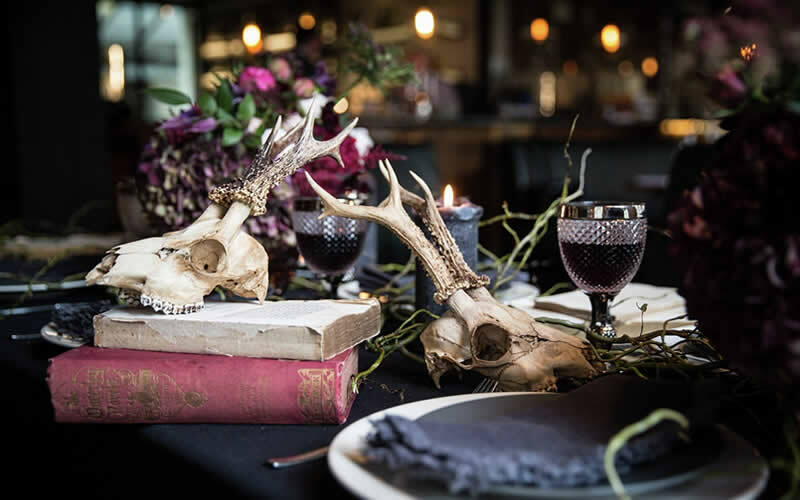 Executive chef Mike Reid has created a four-course Halloween menu inspired by the artwork which is available on request for just two tables per night. 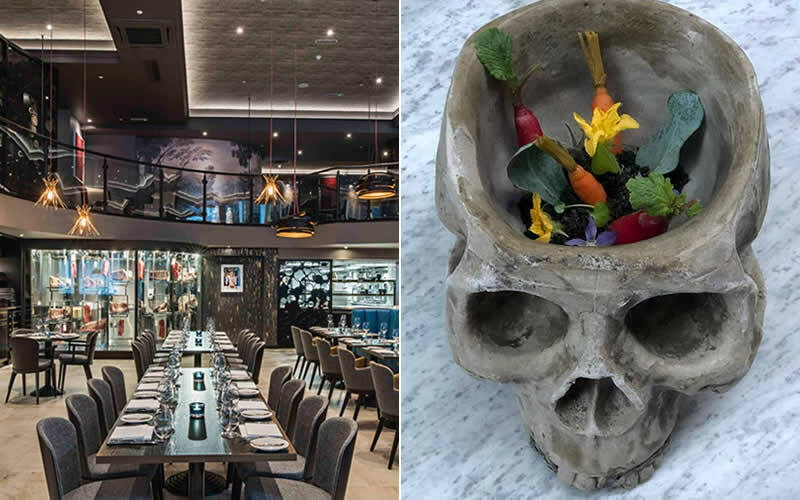 The highlight of the menu is ‘Bones’ – Wagyu ox cheek with bone broth and bone marrow potatoes, served in a bespoke skull bowl. Meanwhile, M Victoria will host a Halloween-themed doggy brunch on October 27th. Bring your canine companion along to dine from the pooch-friendly menu and take part in the pumpkin hunt and fancy dress competition in the ‘Haunted Hound House’. 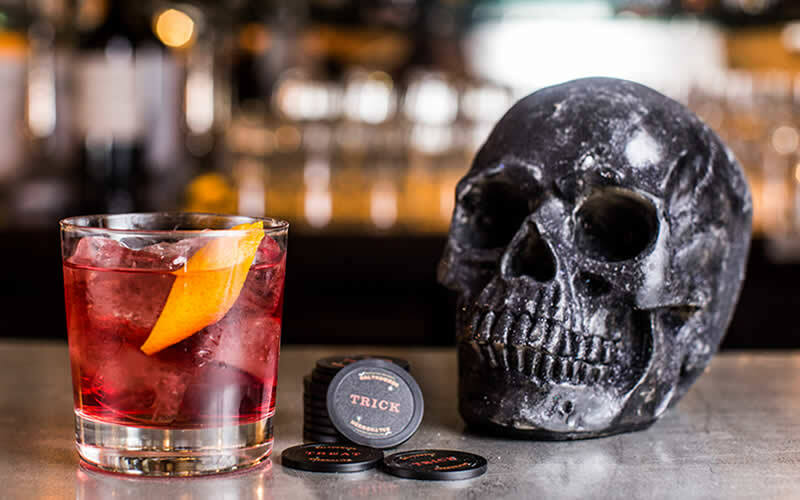 On October 31st, M Threadneedle Street will host the mother of all Halloween parties, complete with Don Julio cocktails, DJs and immersive performers, and gruesome body part decorations. Get your tickets before they sell out. Now in its third year, Scary Fish is back on 31st October for a night of Halloween mischief and mayhem. Dress to impress and head to Mayfair for a night of Elyx vodka cocktails and performances from fire-breathers, snake charmers, and seductive she-devils. There will be Scary Fish canapes to snack on throughout the evening and in-house DJs to keep the party going long past the witching hour. Tickets are £160 per person and booking is essential. Photo Credit: House of Pyramid for The Ivy Soho Brasserie.